including here in West Palm Beach. These critters enter through small cracks or holes and can wreak havoc on a building as they scavenge for food and a place to nest. If you’ve spotted rats on your property, we urge you not to attempt to remove them on your own. Instead, trust the experts here at Critter Control® to help. 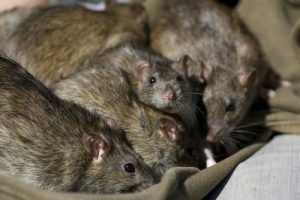 We’ve crafted a 4 step process to catch and release the rats that have taken up residence in your home. Inspect– Call us for a free consultation, and we’ll inspect your home or business to assess the infestation at its core. We’ll then work with you to come up with the best method of action. Remove– Next comes the process of removing the rats. We have multiple ways to capture and remove rodents from the infested area, and will choose the safest and most effective option for your unique infestation. Repair- Not only will we remove the rodents, but we’ll clean up after them. Any damage they may have caused when entering and living in your home, or any damage that was made while catching them will be fixed. It will be as if the infestation never happened. Rats are capable of transmitting disease in multiple ways. There are diseases transmitted from direct exposure to infected feces, urine, or bites, and there are diseases indirectly transmitted via a third party like a flea or tick. Hantavirus – This disease is most often spread by inhaling dust that has been infected with rat waste, or by coming in direct contact with it. Some cases have been reported as a result of being bitten by an infected rat. Leptospirosis – This bacterial disease is most often transmitted by coming into contact with infected water, whether it be having it touch your skin, or entering your body. Rat-bite Fever – Rat-bite fever is transmitted through a bite, scratch, or another direct contact with a rat – dead or alive. Salmonellosis – Like Leptospirosis, you can contract Salmonellosis through consuming infected water, but it can also be transmitted through food as well, which is why you should throw away any food containers that look like they’ve been broken into. Plague – The same plague that wreaked havoc on Europe during the 1300s, plague is still able to be transferred to humans via infected fleas, and domestic rats are the most common carriers of the plague. How do Rats Damage your Home? When rats invade a home, the results can be catastrophic. They have a tendency to damage everything from attic insulation to food containers, all of which put your home and family’s well-being at risk. Rats will chew on just about anything that they see as useful in building their nests. This could be wood, paper, cloth, books, etc. Getting rid of rats is a problem that is all-too common for folks here in the Palm Beach area. You can readily buy traps at nearly any hardware or home improvement store, but these methods pose their own hazards and do nothing to address the cause of your infestation in the first place. There are a number of non-toxic and natural remedies, including the dispersal of peppermint oil, ammonia, or pepper in areas where rats congregate or along the routes they travel, which may displace them but is not intended to be a permanent solution. These remedies can be hit or miss as rats are skilled at adapting and may just work around the substances they find offensive. Getting rid of rats is one thing, ensuring that they don’t return to your home should also be a priority. Entry points need to be identified and sealed, and any damage done by the animals should be repaired right away. This can be challenging to the average homeowner because the holes in your structure are often small and well hidden.